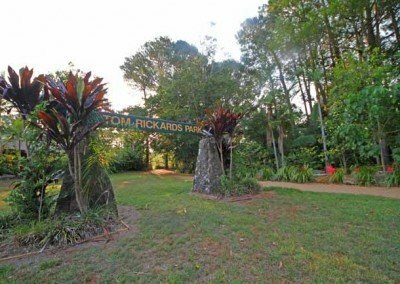 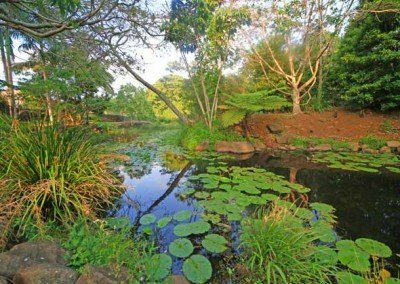 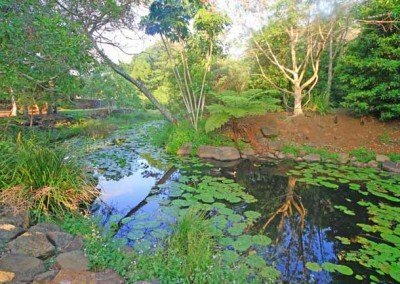 The area now known as Tom Rickards Park in Buderim encompasses a lovely, open portion of Martins Creek, just off Pine Street. 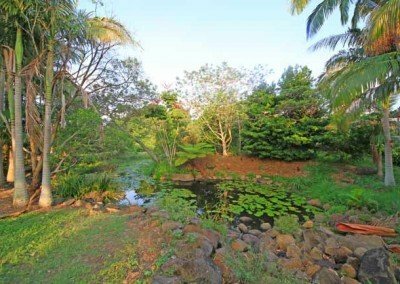 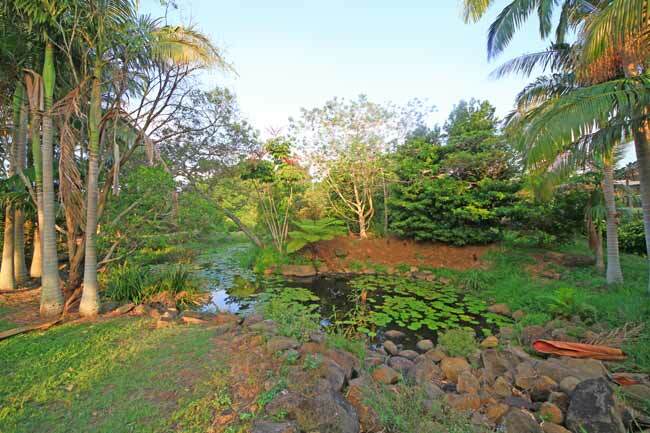 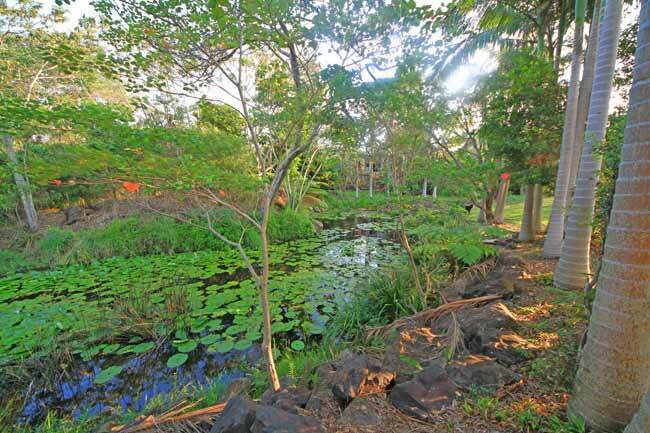 A concrete path meanders beside the creek’s headwaters, passing ponds with lilies and ducks. 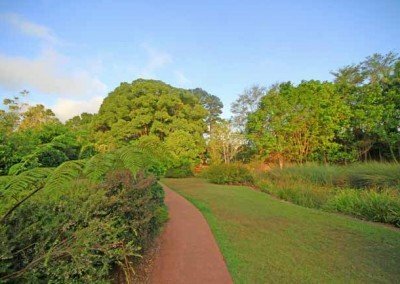 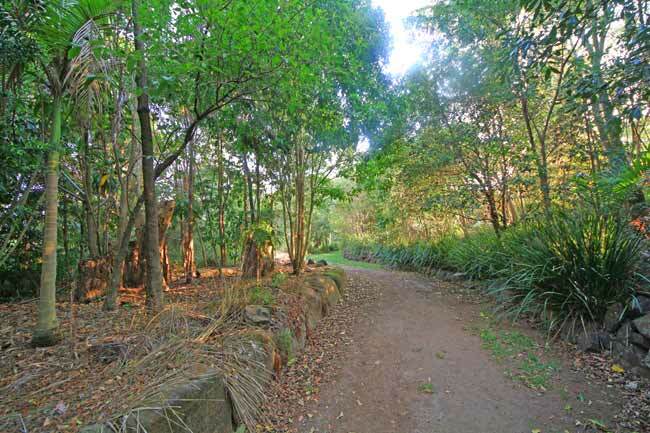 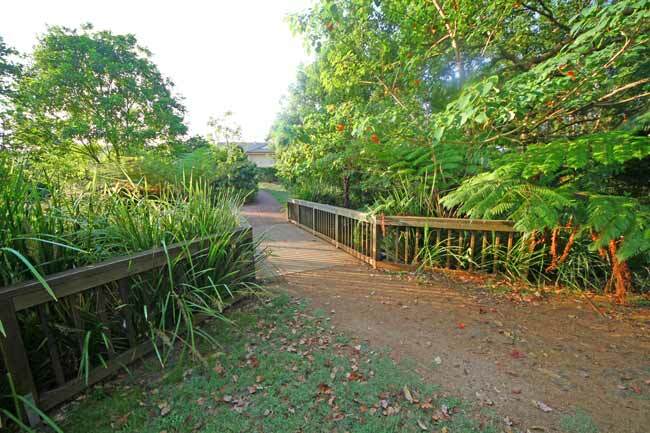 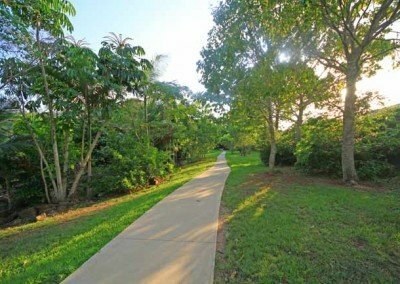 Walk along the path from the entry at Pine Street Buderim, follow the path and it will lead you through Royal Drive, walk along that street and you will find yourself in Tulip Lane. 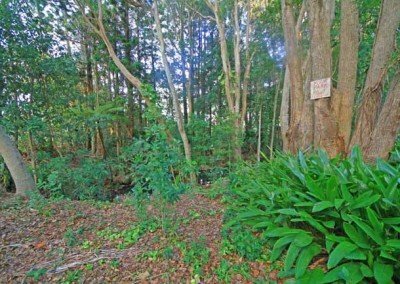 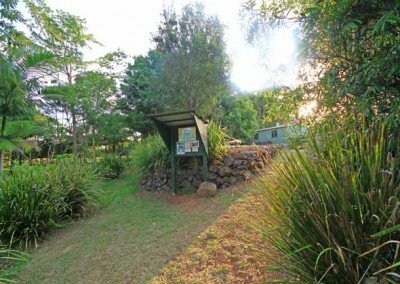 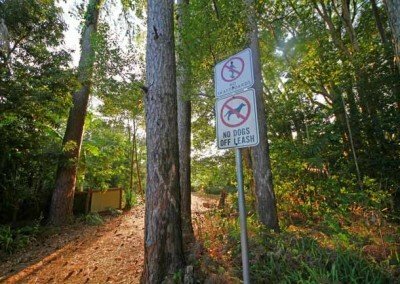 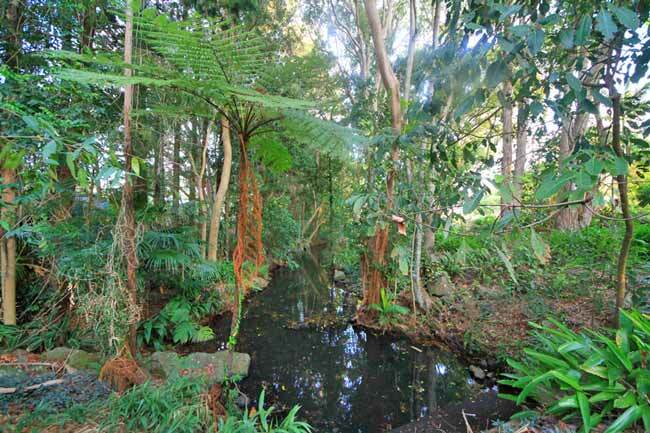 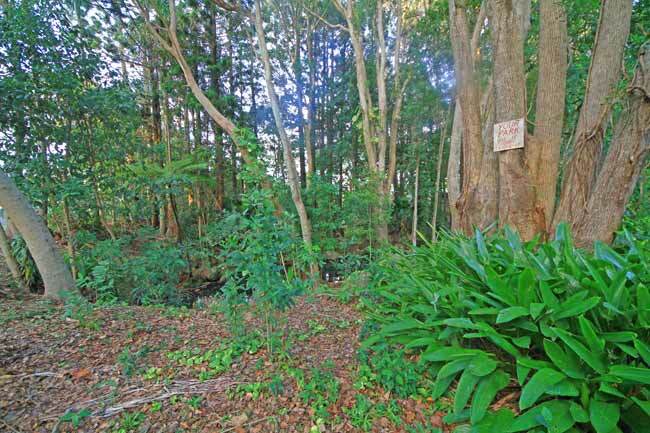 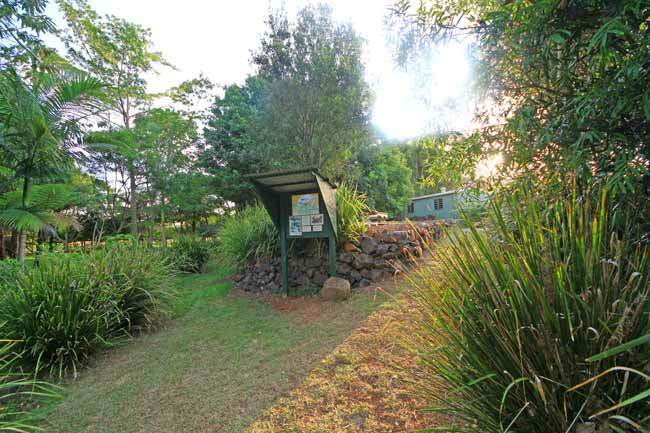 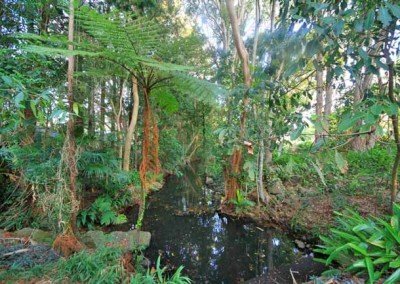 BUT, turn off the path at the final turn and stay walking along the creek and you will find a secret area with a monument to the Buderim-Palmwoods Tramway which used to steam through in the early 20th Century. 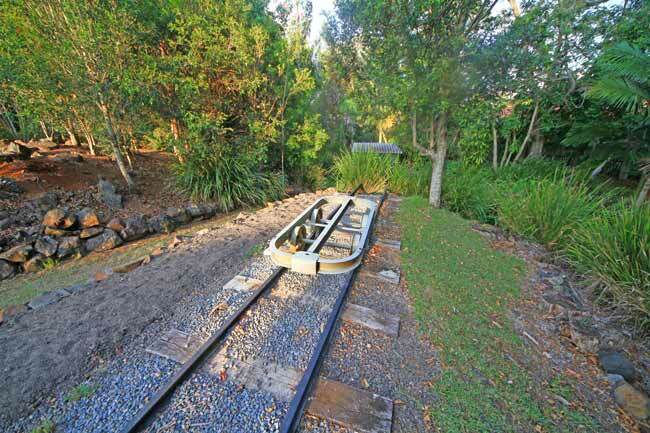 A rail car chassis and a portion of the small guage rail has been placed on permanent display, along with a map and images of the original Buderim-Palmwoods Tramway. 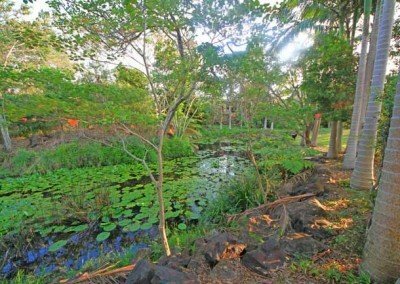 Martins Creek runs behind the business centre, winding under Pine Street behind Lindsay Gardens Retirement Village, under Lindsay Road, behind the Buderim Mountain Primary School and down through Buderim Forest. 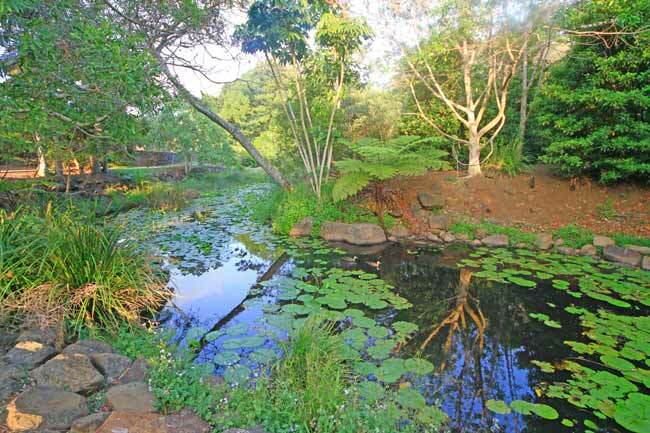 The creek was once the swimming hole for the Lindsay family (Lindsay Road was named after this family) and even contained platypuses as recently as the 1950’s. 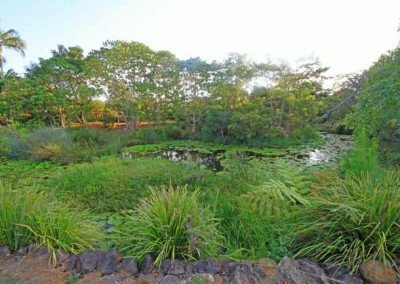 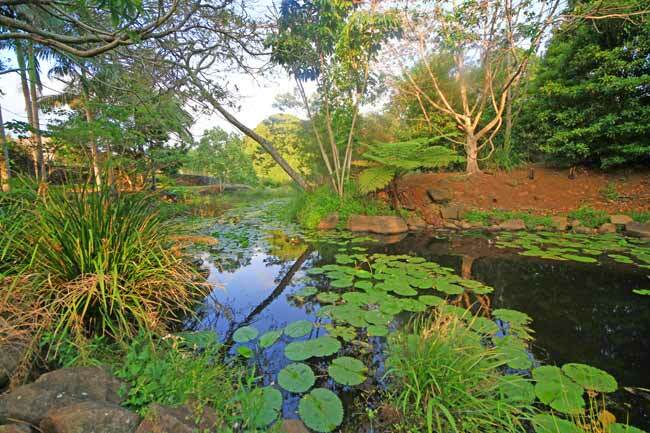 The birdlife is flourishing in the lily-covered lake, the flow is self-modulated by storm water runoff. 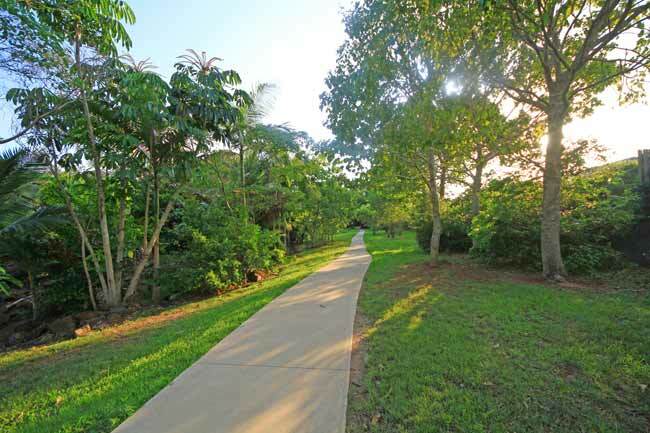 The path winds between homes and the Village Green Retirement Village, finishing at Ormsby Park (a private residence). 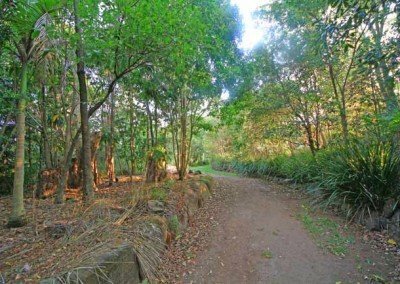 Please remember to respect the privacy of home owners as you wander through. 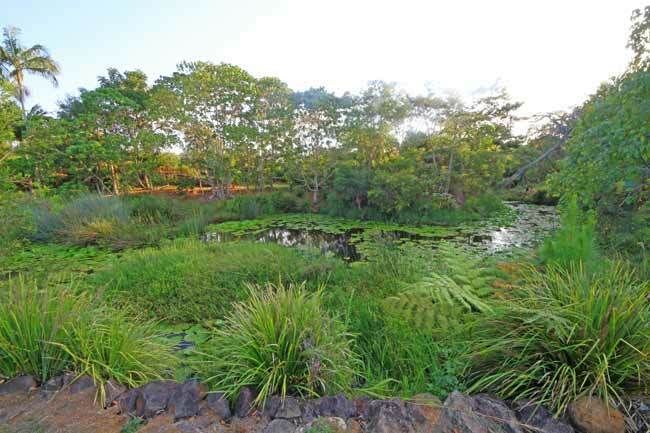 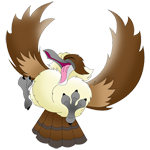 Over the years the area suffered from urban development runoff and was rotten with weeds and feral flora. 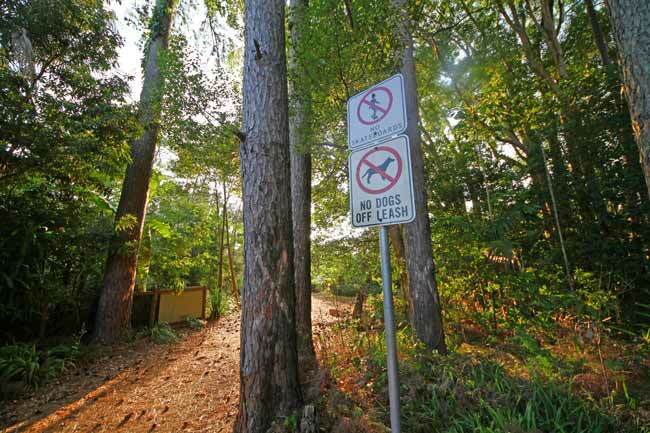 This made the lake unnatural and unattractive. 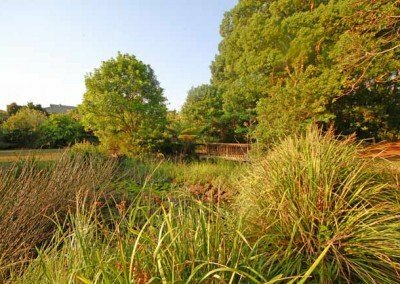 A group of hard-working community members under the leadership of Tom Rickard, got together to restore these headwaters. 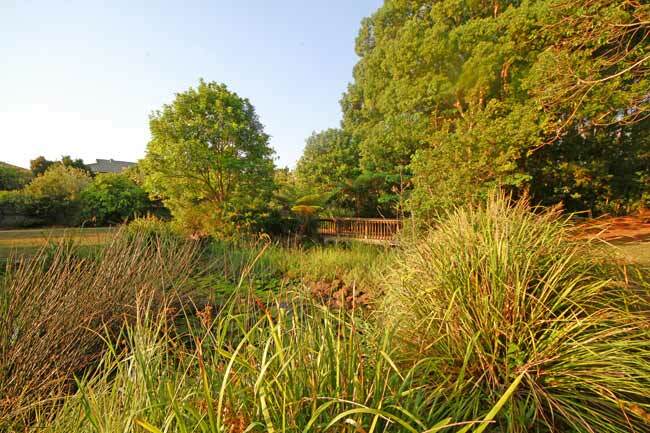 They replaced weeds with native flora and a silt trap was installed to help keep the creek cleaner. Many trees have been planted and the area is becoming a favourite for Pale Headed Rosella and the Lorikeet. 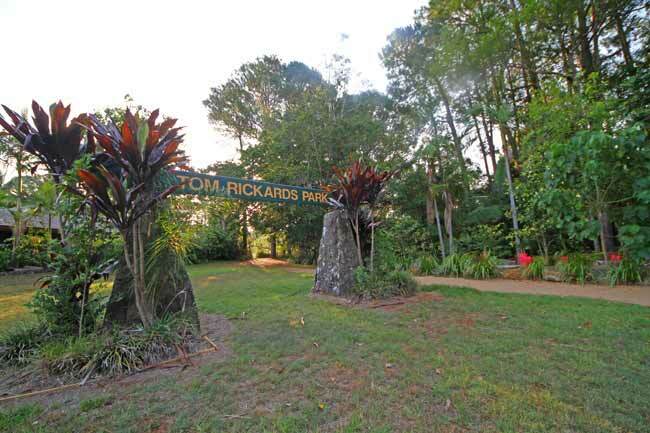 The area was renamed Tom Rickards Park by the (then) Maroochy Council in recognition of his efforts.